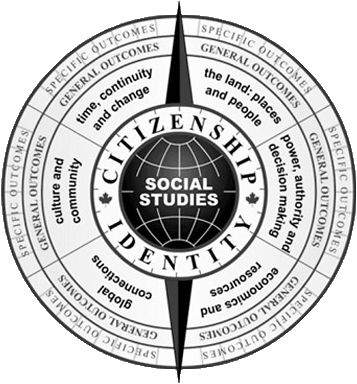 The Programs of Study for Social Studies, which identify what students are expected to know and be able to do at each grade level, are available on the Alberta Education website. Assessment in Alberta Social Studies - This discussion paper explores practices of fair assessment within the context of critical thinking and the Alberta Social Studies Program of Studies. Transforming Pedagogy and Practice Through Inquiry-Based Curricula: A Study of High School Social Studies - An article combining information about the intent of the Alberta Social Studies curriculum with a research study which investigated to what extent this transformative curriculum has affected teaching practice. A series of books in the Doucette Library which were developed by the Critical Thinking Consortium (similar to the Critical Challenge lesson plans on LearnAlberta). 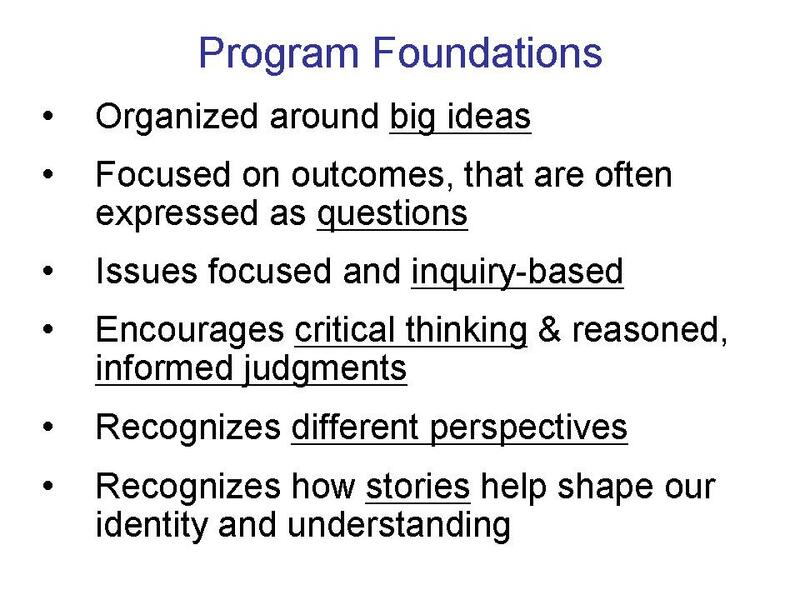 Many challenges relate directly to topics in the Alberta curriculum. TO LOCATE: To find books in the Critical Challenges series in the Doucette Library type in - Critical challenges across the curriculum - and limit to the Doucette Library ( in the left hand column). Similar lessons to those above can be found through the LearnAlberta.ca website (Ask at the Doucette Reference Desk for user name and password). The link takes you to a list of all of them, or limit by grade. This free online educational program meets requirements of Canadian secondary school curriculum. Explore social justice issues - both past and current. Become empowered to speak out and take action against hatred and all forms of discrimination! Find a wide variety of support materials, in addition to lesson plans. in the form of videos, collections of photographs etc. related to topics in the Alberta Social Studies program. (get username and password from Doucette reference desk). Accessed through your LearnAlberta login. Comprised of a variety of online reference sources, at least a half-dozen of which are particularly useful for Social Studies, including: Culturegrams, CBC News in Review, Canada in Context, World History in Context. If you login to the French language version of LearnAlberta and click on "Centre de référence en ligne" along the top, you'll retrieve those licensed resources available in French. Click on the ‘Social Studies’ tab, on either the junior high or senior high student site, for links to interactive websites and whiteboard resources directly related to the content of the Alberta curriculum. Lists, by grade, of juvenile fiction and non-fiction that connects to the Alberta curriculum. These were developed by the Calgary Board of Education and made available through Learn Alberta. From the Doucette Library, links to carefully selected websites relevant to teaching Social Studies.